The first GEMS/Water Scoping Workshop for Eastern Europe and Central Asia, titled “Ambient water quality monitoring: current status and opportunities for global engagement and SDG indicator 6.3.2 reporting”, will be held in Cork from 05.-07.03.2019. Vienna, Austria, 8 – 13 April 2018 | The General Assembly of the European Geosciences Union (EGU) is one of the largest and most important geoscience conferences in Europe. This year’s EGU was again a great success with 4,776 oral, 11,128 poster, and 1,419 PICO presentations. Dresden, Germany, 22­–23 March 2018 | This year’s Hydrology Day was held in keeping with the motto “M3 – Measuring, Modelling, Managing”. 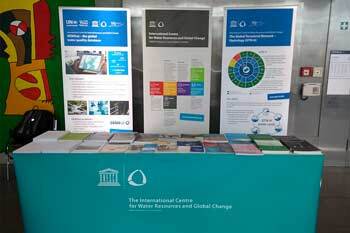 The conference gave an overview of the broad range of hydrological sciences in German-speaking countries.